Adult video star and singer Tsubomi recently uploaded this photo on her official blog, titling the post, "(To) All Otaku." Guess that means you? 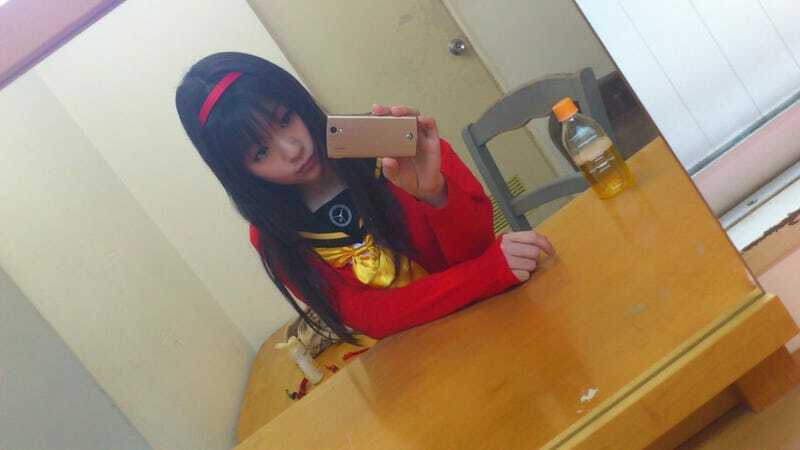 The outfit in the photo belongs to Yukiko Amagi, Persona 4's rich girl character. And this could be the longest look you'll get of Tsubomi actually wearing it. Check out Tsubomi's music, too—it's not bad.